A new amenity initiative is set to recognise and reward the industry's best sprayer operators. The Amenity Forum's Sprayer Operator of the Year Awards aim to improve overall standards by identifying the best practice of individuals to enhance results, and sharing their experiences across the industry. Launching the Awards at BTME in Harrogate, Amenity Forum Chairman, Professor John Moverley, highlighted that accurate and efficient spray application was an integral part of the commitment to fulfil the Sustainable Use Directive. "The best practice in sprayer operation we are seeking to promote can immediately reduce the risk of point source contamination during filling and diffuse losses during application," he advised. "Furthermore, achieving the best possible results from every application could reduce the need for retreatment and lower the overall use of pesticides. "Better results will also ensure businesses are getting the best value for money from every treatment, in terms of turf quality for golf and sports through to weed control on hard surfaces and amenity areas, for example." 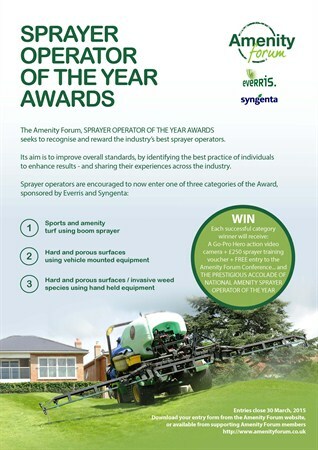 The Amenity Forum Sprayer Operator of the Year Awards are sponsored by Syngenta and Everris. Successful entrants will be sent a short questionnaire to report on their spraying practices, designed to identify and highlight examples of best practice, along with individual practical tips and advice they have implemented. A short list of finalists will be visited by a panel of independent industry specialists to award the accolade of Sprayer Operator of the Year in each category. Each winner will receive a Go Pro Hero action video camera, along with £500 of training vouchers for further CPD events. 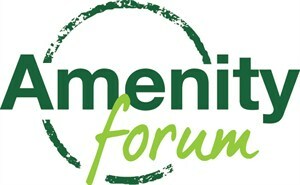 Professor Moverley added that the Awards will be supported by a dedicated Amenity Forum website to record and share the experiences of the industry's best sprayer operators, magazine articles and podcast videos, along with social media channels to spread ideas and tips as widely as possible. Initial entry forms can be downloaded here, from the Amenity Forum website, or available from any of the Amenity Forum industry members supporting the Awards. Daniel Lightfoot, Syngenta UK Business Manager, said: "We recognise that the skills of the operator are paramount in achieving the best possible results from every application. In almost every instance they have instigated ideas and practices to make the spraying process easier, more accurate and, ultimately, safer. "The Sprayer Operator of the Year Awards are a welcome way to recognise and reward the leading individuals and to learn from their experience." Everris Business Development Manager, Ed Carter, added: "We are delighted to support such an important cross-sector industry initiative with a continued commitment to raise standards and improve results. "Importantly it has identified and recognised the diversity of spray application techniques and the differing skills involved across the amenity sector. 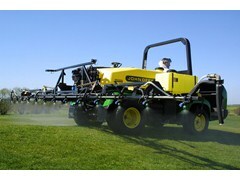 It will provide a unique and vitally important resource for all involved in spray application." Entry to the Sprayer Operator of the Year Awards has been entered for NRoSO, BASIS and BIGGA CPD scheme points.